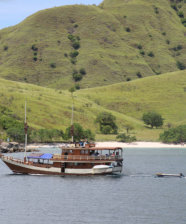 Komodo National park includes 3 major islands Komodo, Rinca and Padar. The highlight was our visit on Rinca Island to see the distant cousins of the dinosaurs, the Komodo dragons. Escorted by the island’s wardens armed with a forked stick (which didn’t seem sufficient to ward off an angry dragon), we set off on our 2.5mile walk in the national park. Barely had we walked a few hundred yards when we encountered our first two komodo dragons that were warming their bodies in the morning sun. 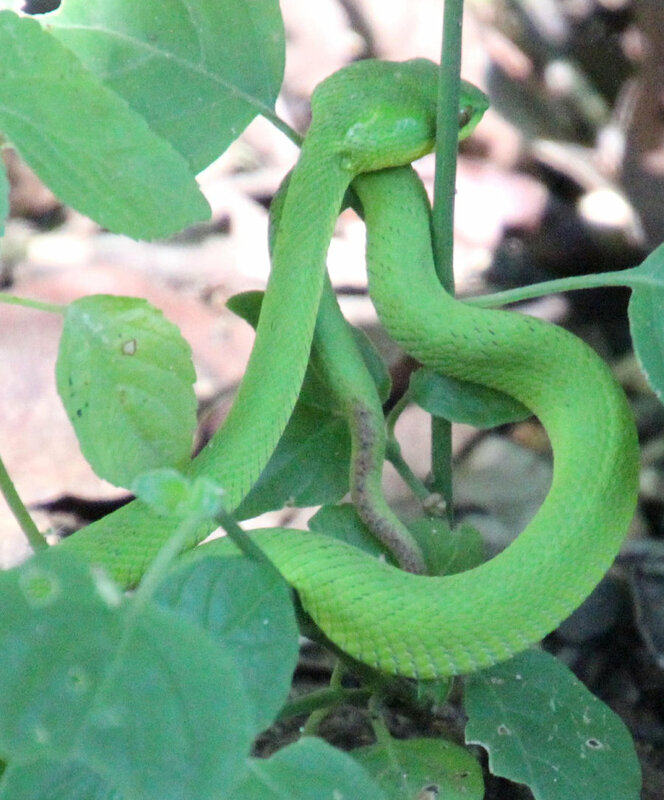 We were introduced to the various species of plants and trees in the park when we came upon a komodo dragon digging in a ‘hen’s nest to steal the eggs. We also saw frigate birds and long tailed monkeys, (we didn’t see any of the white buffalo on the island). In the afternoon we went snorkelling off Pink Beach (pink due to the pieces of pink coral that break off and disintegrate in the sea and are then swept up onto the sand). 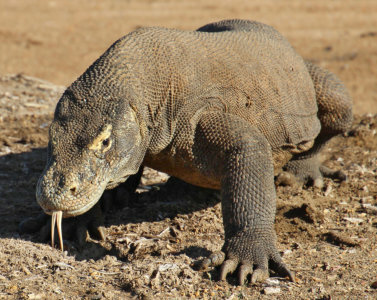 Komodo dragons have thrived in the harsh climate of Indonesia’s Lesser Sunda Islands for millions of years, although amazingly, their existence was unknown to the western world until 1910 when a Dutch lieutenant first laid eyes on them. These rare huge lizards are the largest on earth growing up to twelve feet in length and weighing more than 300 pounds (136 kilograms). They have long, flat heads with rounded snouts, scaly skin, bowed legs and huge muscular tails. There are about 2800 Komodo dragons on Komodo Island and 2000 komodo Rinca Island. 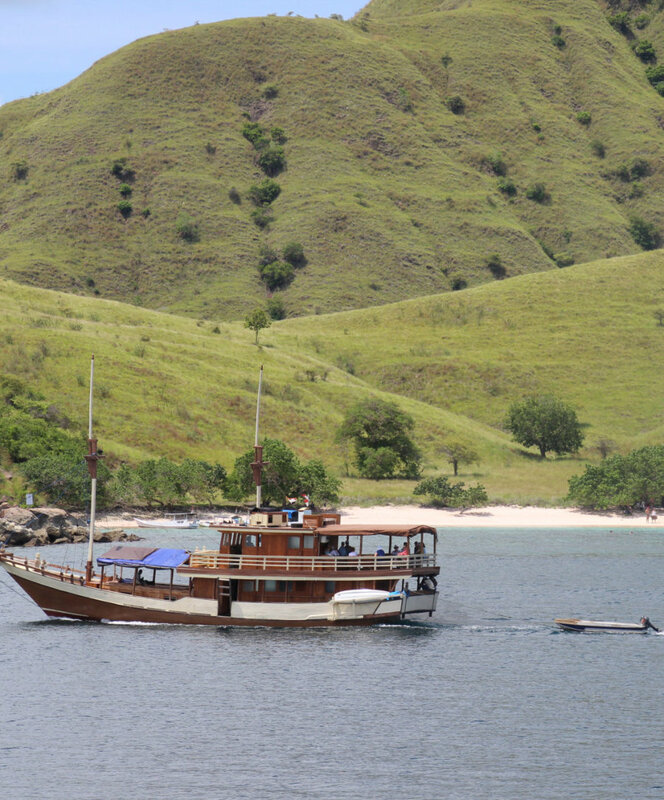 Those on Komodo Island are fatter than those on Rinca Island. As the dominant predators they will eat almost anything including carrion, deer, pigs, smaller dragons and even water buffalo (and humans). Komodo dragons rely on camouflage and patience, lying in wait for passing prey. When a victim ambles by, the dragon springs up using its powerful legs, sharp claws and serrated, shark like teeth to attack its prey. But it is not the bite that kills, it is the saliva that teems with 50 strains of bacteria that will kill the victim within 24 hours from blood poisoning. The dragon will follow the prey with its keen sense of smell, until the saliva poisoning takes effect. A dragon can eat 80% of its body weight in a single feed and then not need to feed for up to a month.